AHDB Potatoes has launched a new website to help combat the industry’s most threatening disease. Blight.ahdb.org.uk will allow industry experts to report blight outbreaks more efficiently, according to AHDB. 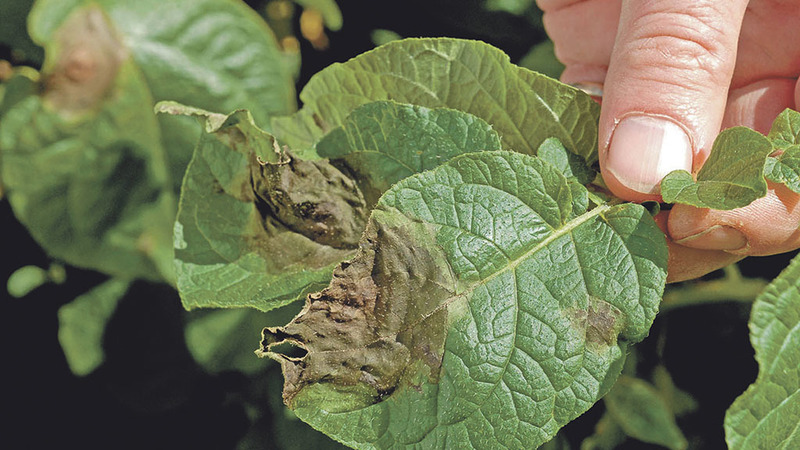 Late blight, caused by the pathogen phytophthora infestans, remains the most important disease for the British potato trade. Spreading quickly in the foliage, a typical blight pressure season can cost the industry about £55m a year in a business-as-usual scenario, says the organisation. As a part of its research into blight populations, AHDB Potatoes’ Fight Against Blight campaign has been redeveloped and modernised to capture more UK blight outbreaks than before. Fight Against Blight, which started in 2006, is a sampling service which notifies the industry of outbreaks and risk throughout Great Britain. Anonymous samples are collected from around the country by a team of volunteer Blight Scouts and sent to FERA (Food and Environment Research Agency) for initial tests. All positive results are then sent to the James Hutton Institute for detailed analysis. Claire Hodge, knowledge exchange manager for AHDB Potatoes, said: “Blight as a disease changes from season to season and it’s up to us to keep researching in order to combat those changes. In order to allow agronomist and growers to manage risk in crops and reduce the spread of blight, AHDB’s Blightwatch service will send weather-based alerts and forecasting, based on Hutton criteria, which you can sign up to by visiting www.blightwatch.co.uk.